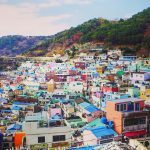 Autumn foliage in Busan — Top 6 Busan attractions in autumn & around - Living + Nomads – Travel tips, Guides, News & Information! 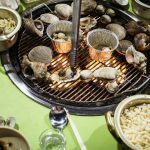 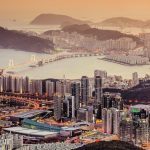 Unlike the modern beauty of Seoul, the port city of Busan – the new destination of autumn still retains the romantic, poetic that few places have. 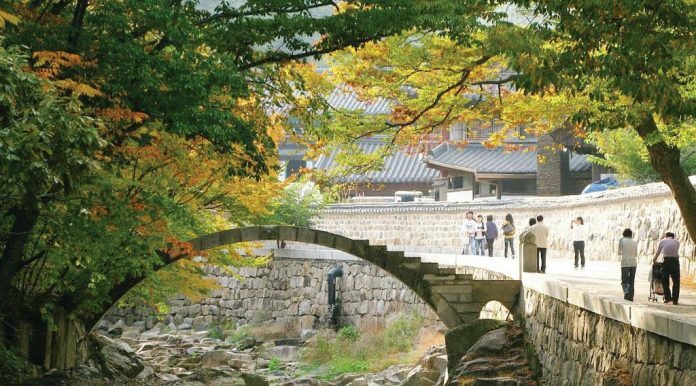 The city of 4 million people is famous for its long stretch of beaches, ancient temples, winding roads shade with maple trees, like the beautiful autumn picture of South Korea. 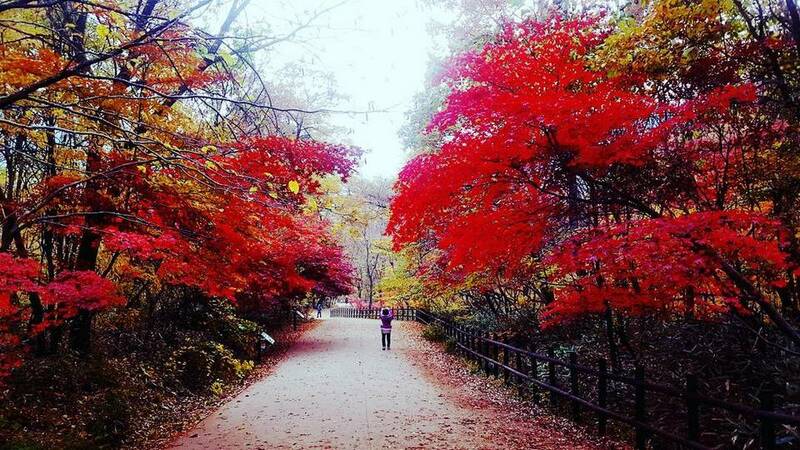 Visiting to Korea in the autumn, not only Seoul is beautiful, Busan is also very wonderful. 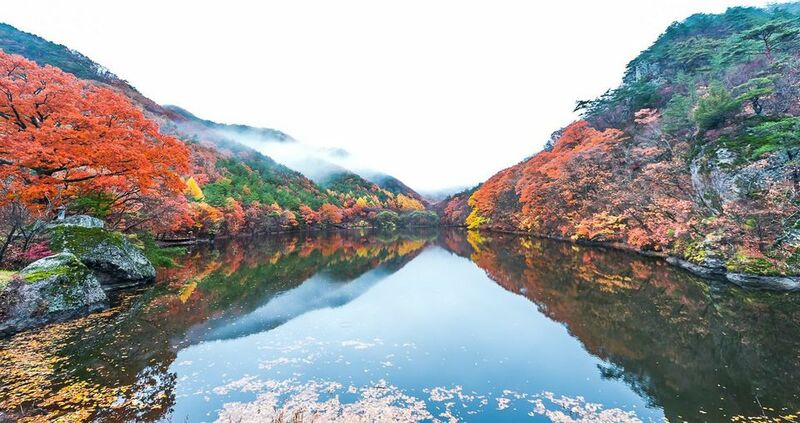 In the autumn, in addition to watching the yellow leaves, red leaves cover the port city, this port city has the plus point is the sea, have you been to the sea in the fall yet? 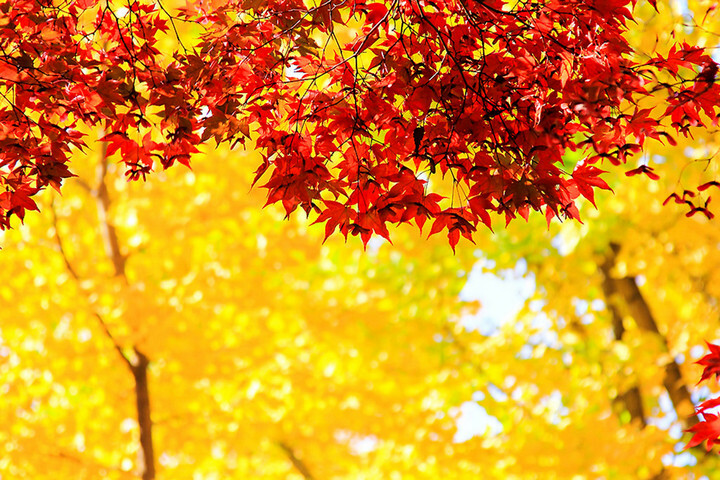 Moreover, there are countless small and big festivals, exciting and fun activities that only take place in the fall. 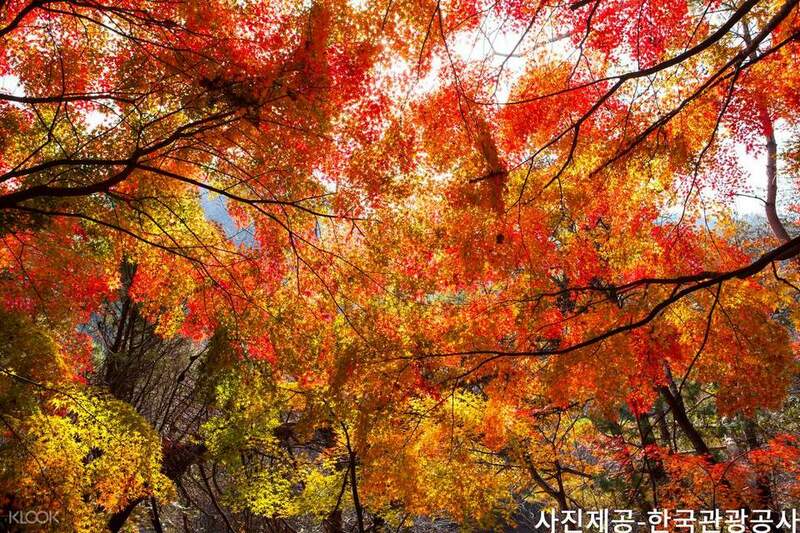 When is autumn in busan? 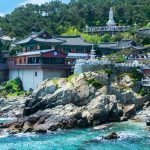 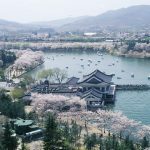 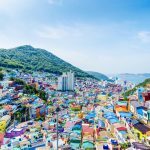 Now, let’s explore this beautiful city port through our Busan autumn blog with top 6 Busan attractions in autumn from best places to watching autumn foliage in Busan (Busan autumn leaves) to top things to do in Busan in autumn. 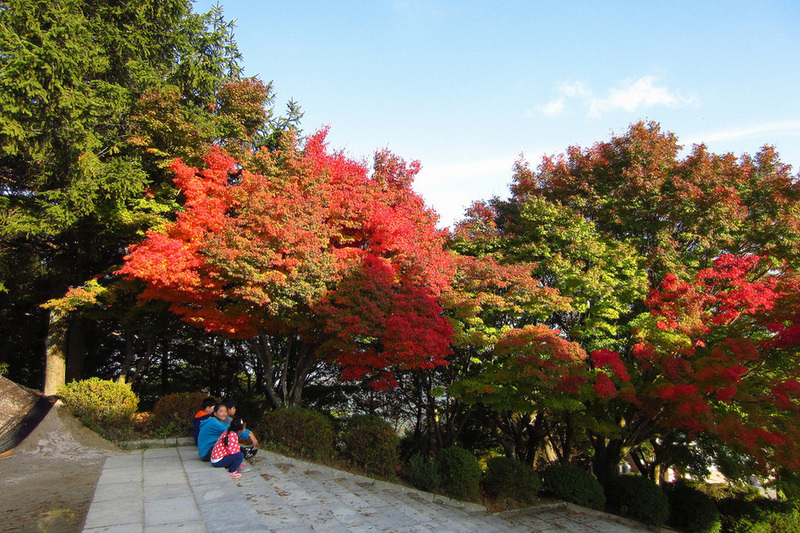 Picture: busan attractions in autumn blog. 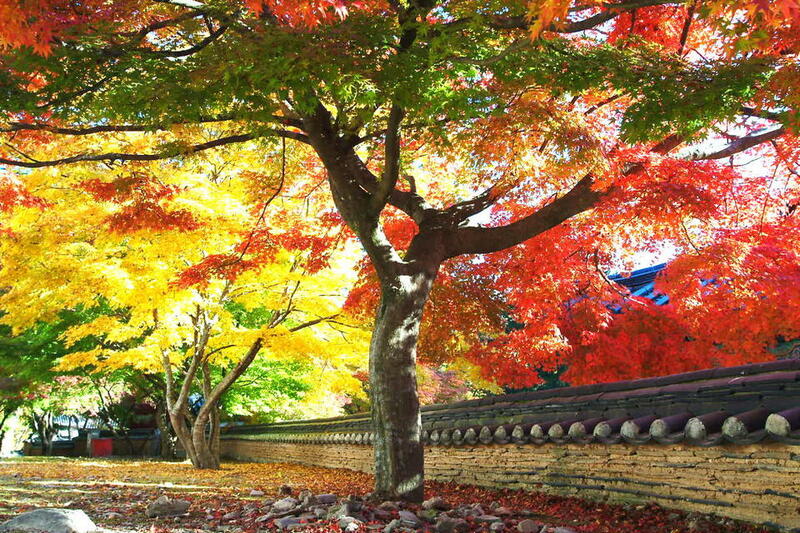 Foto by: autumn foliage in busan blog. 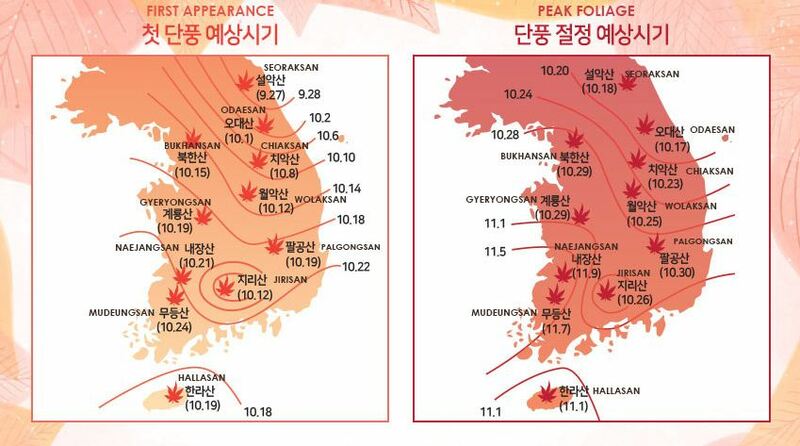 Autumn foliage in Busan: When is autumn in Busan? 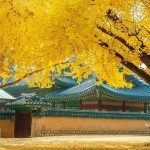 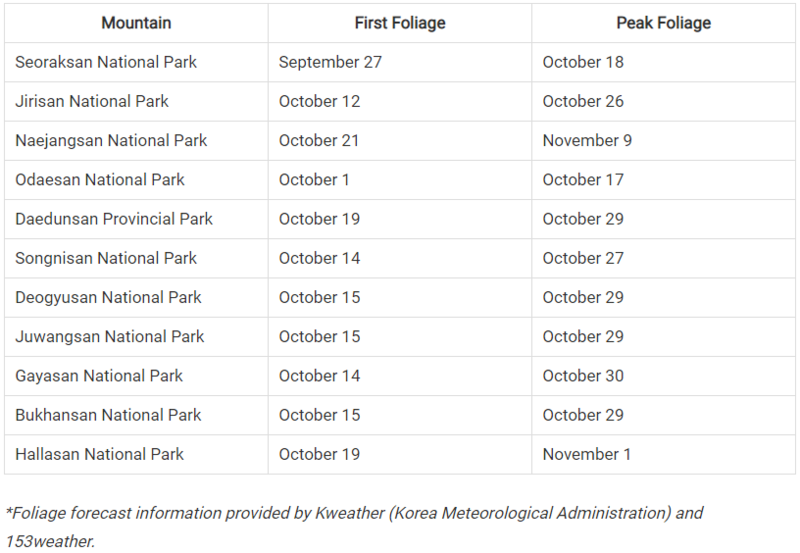 Read more: Fall foliage forecast Korea 2018 — Top 16 best places to see autumn fall foliage Korea 2018. 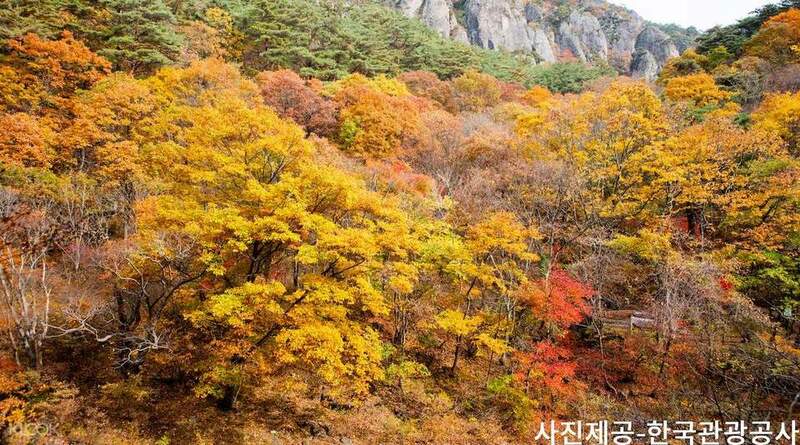 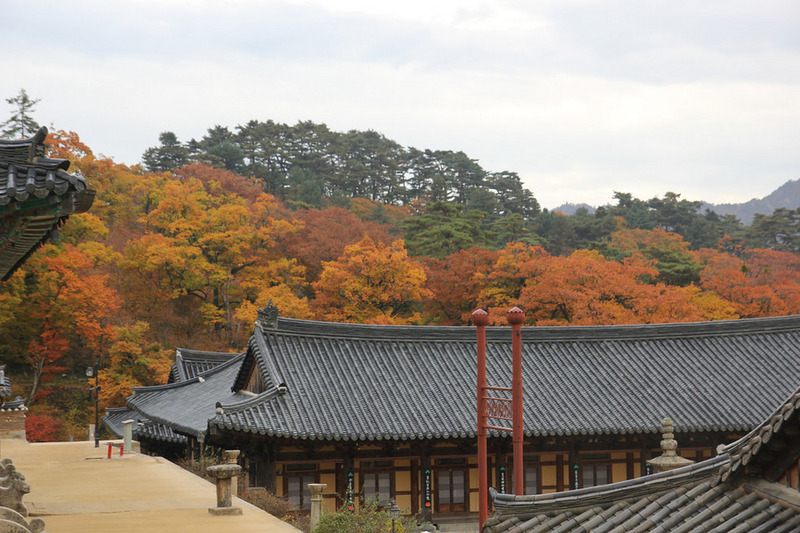 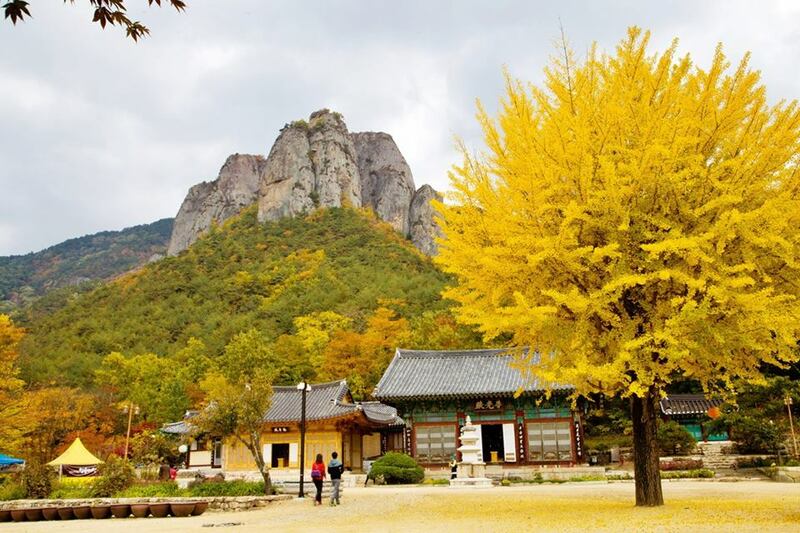 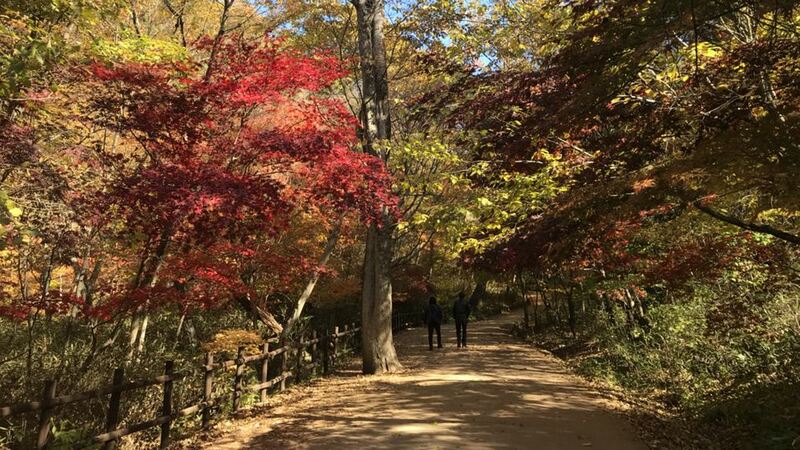 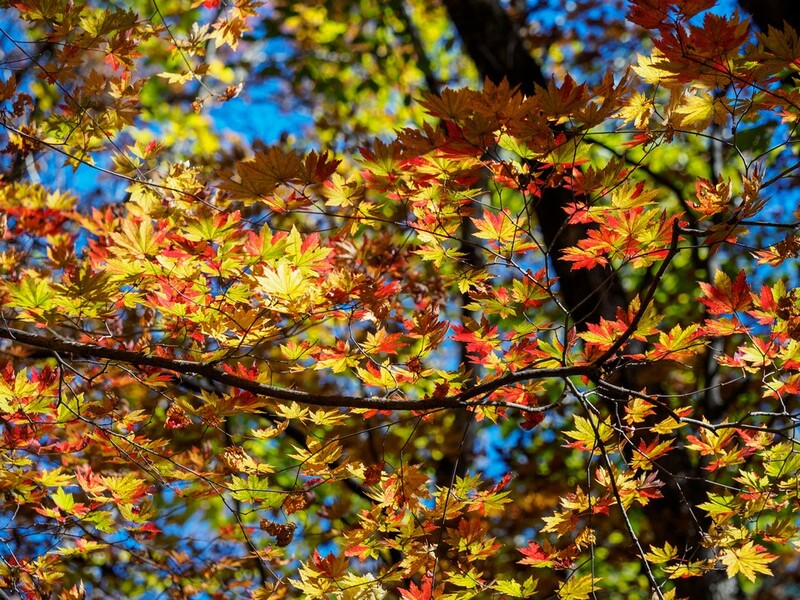 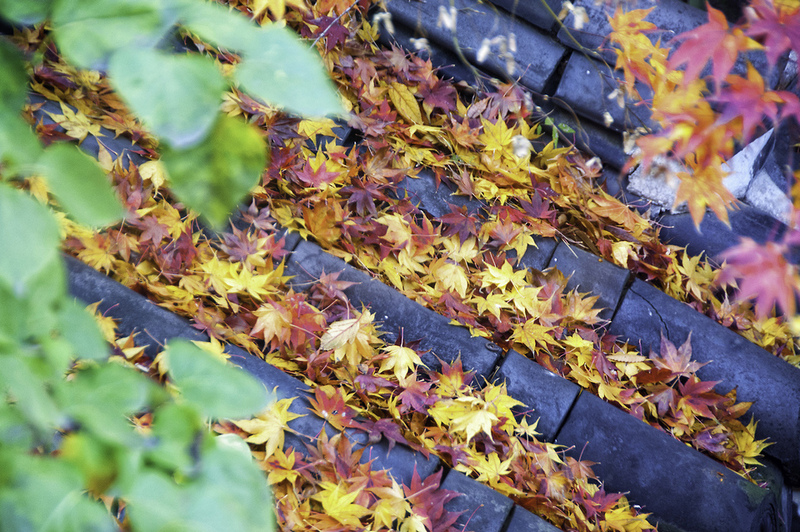 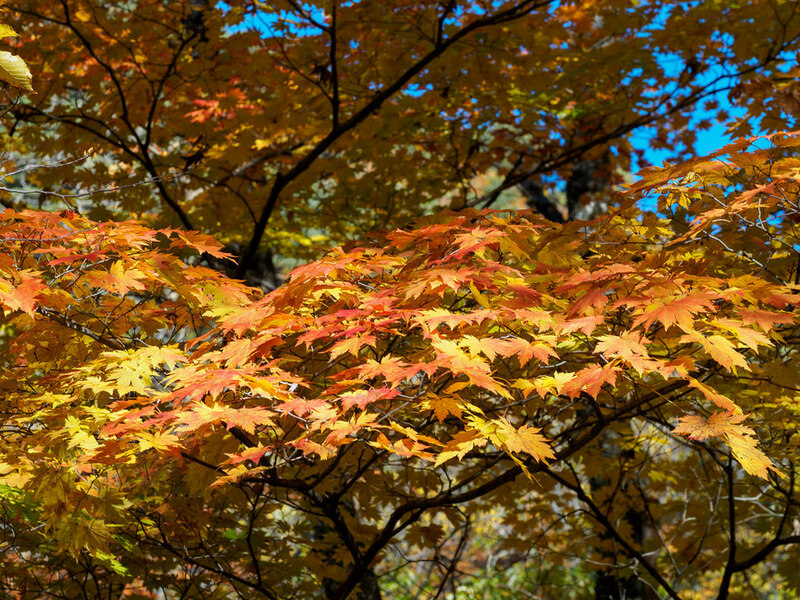 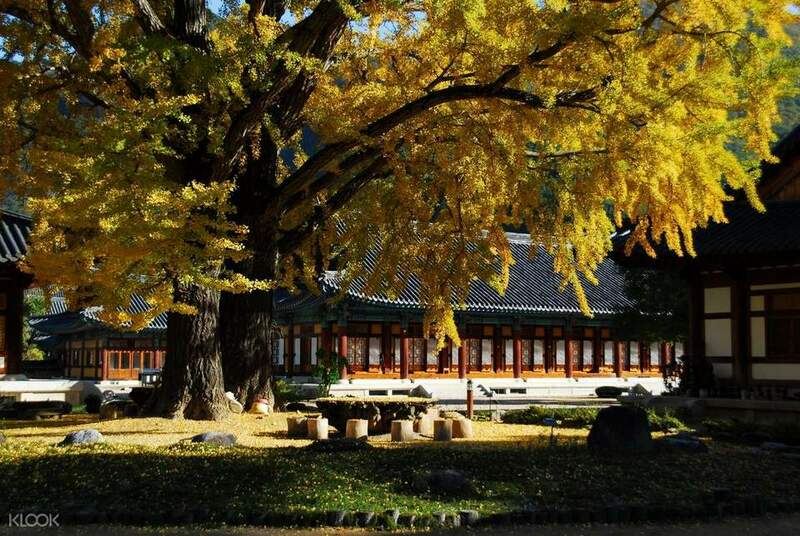 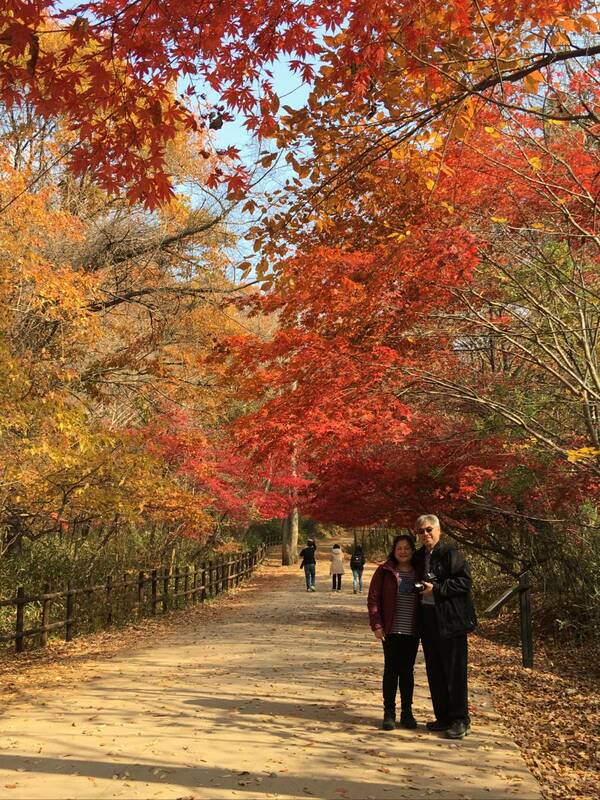 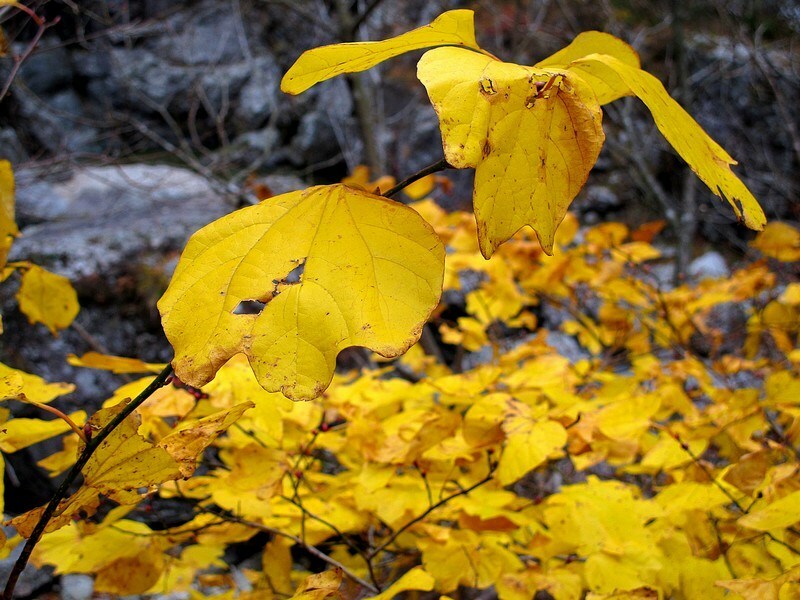 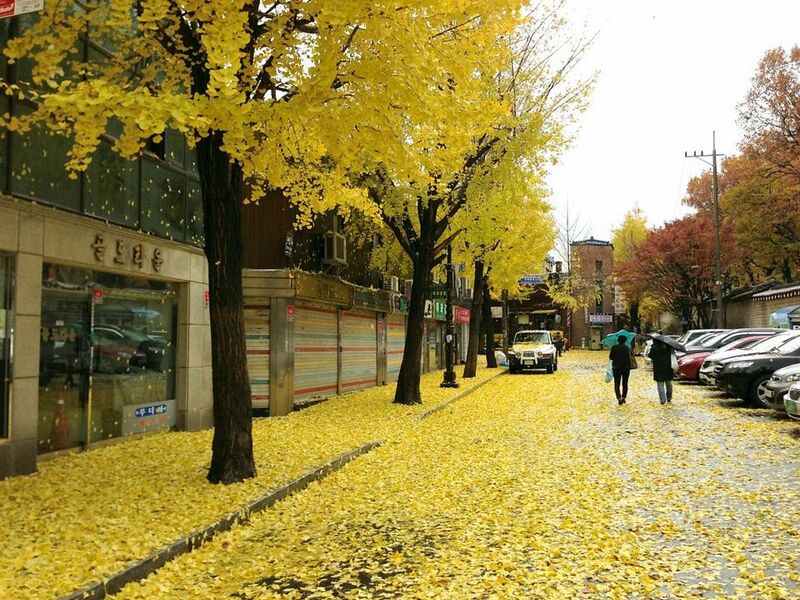 Yellow leaves, red leaves – specialties of Korea tourism in the fall, so whether to go to any city, then do not miss admire the natural view only once a year. 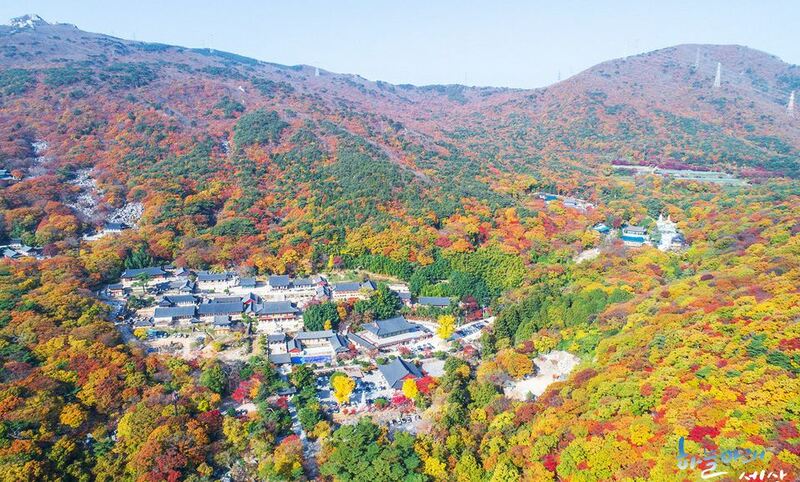 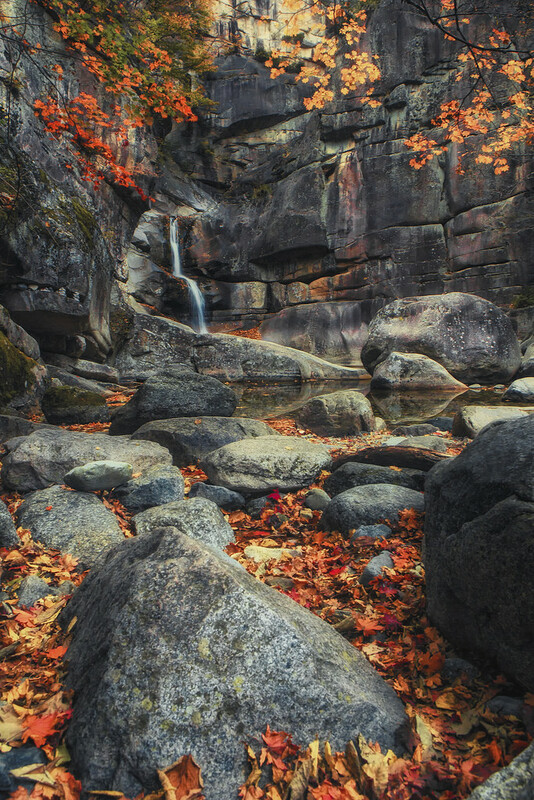 Every year when autumn come, people usually go to the mountains together, this time is suitable for climbing, hiking, trekking, because the weather not too hot nor too cold, will not be tired or pour sweat, the scenery of maple leaves on the mountain also spectacular and poetic, very eye-catching. 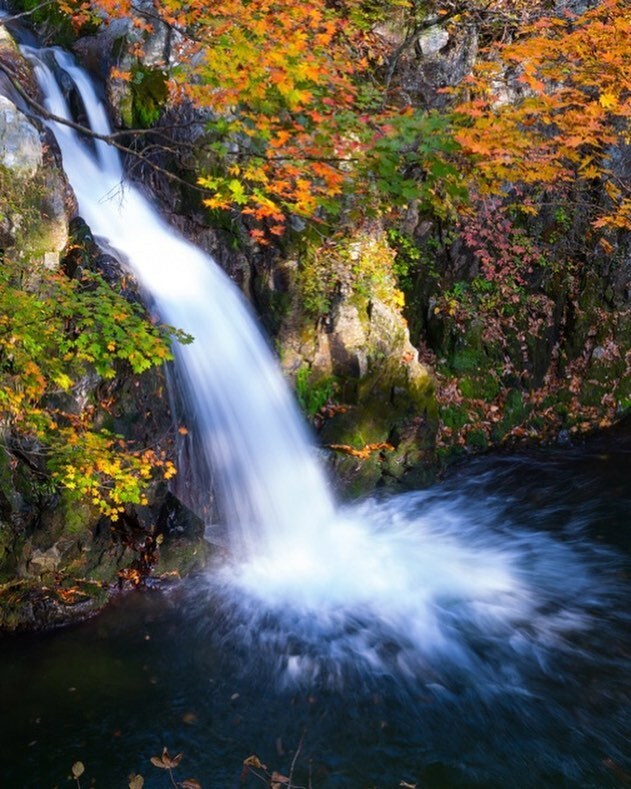 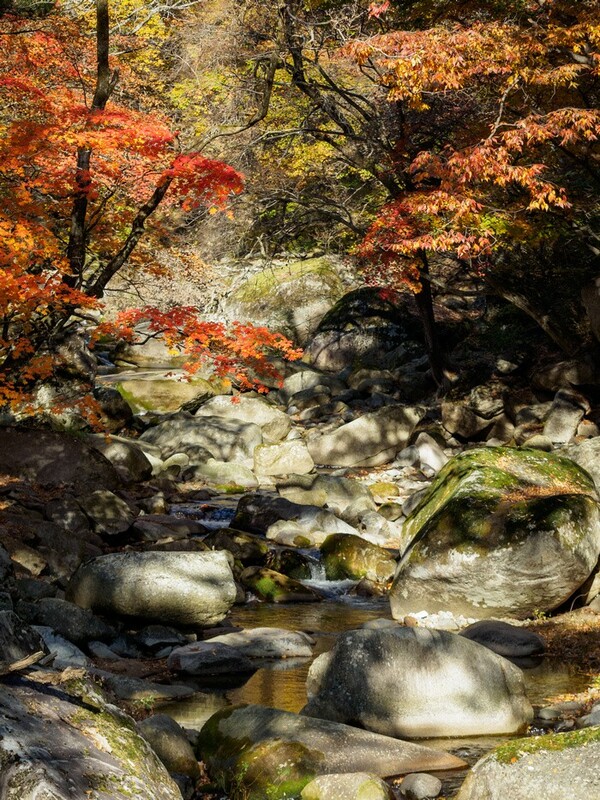 It is one of the national parks with the highest mountains in South Korea, where there are waterfalls, valleys, very long walkways along the mountains, you can walking while watching the water flowing at the foot, above are the cliffs with lush green of plants and trees. 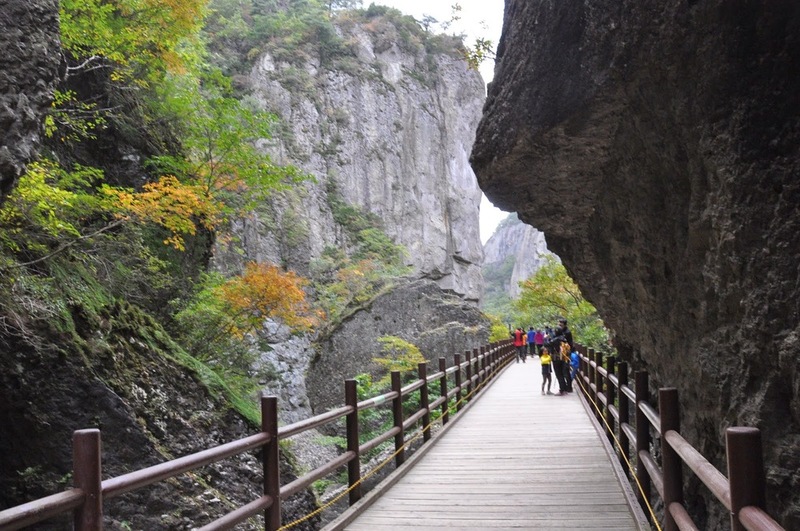 Most people come here will like trekking, climbing, crossing streams, the trekking trails are usually 8-12 kilometers long, it takes about 4-6 hours to hike. 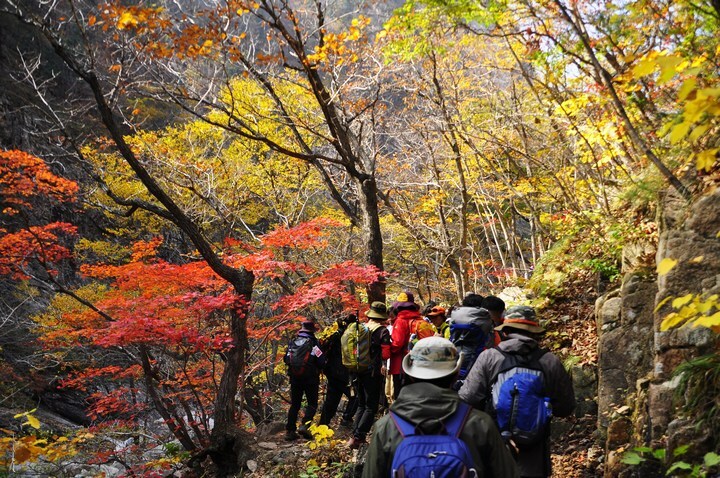 However, if you are not a trekking lover you can still come here and peruse, seeing the natural forest. 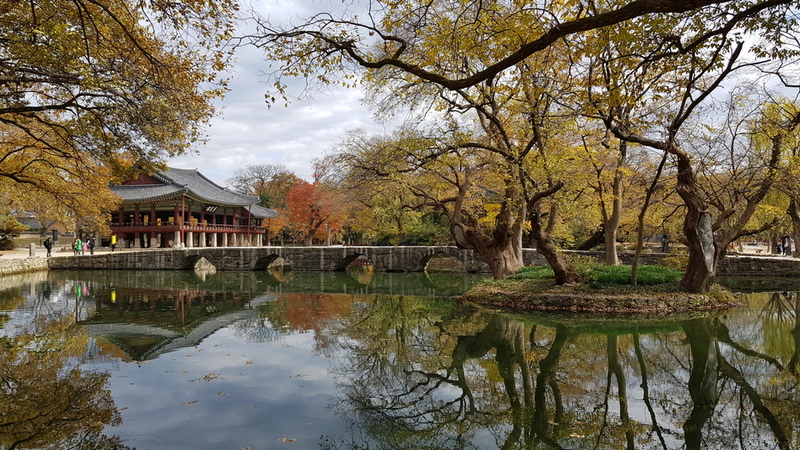 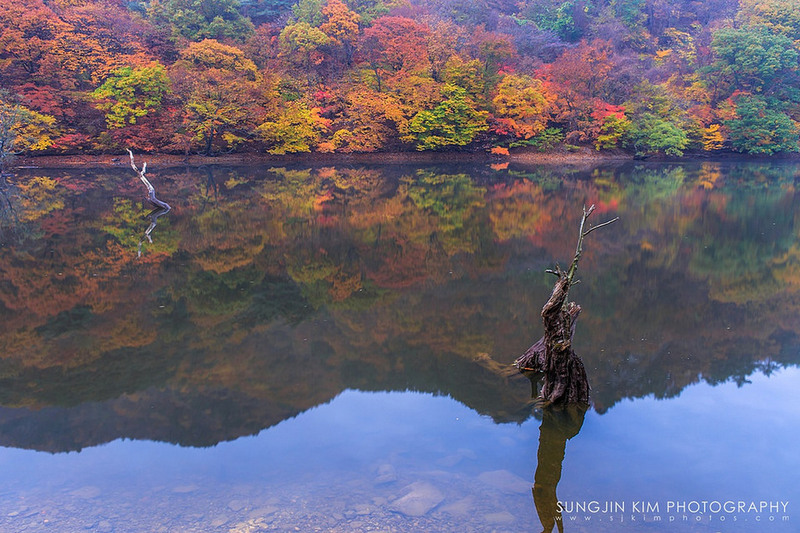 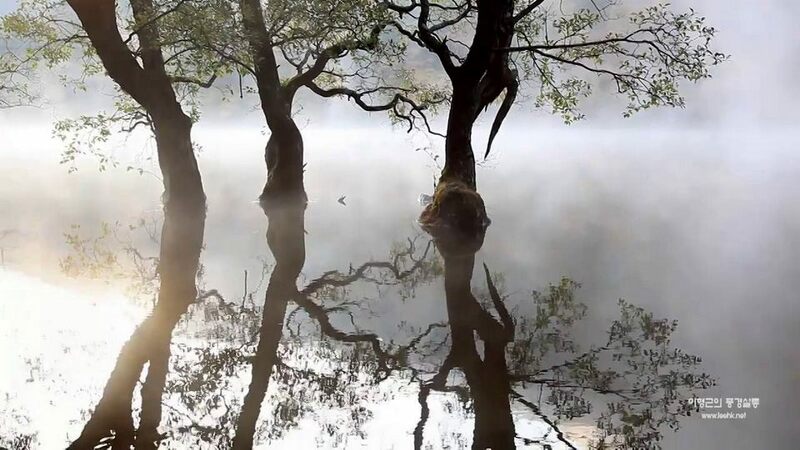 Some places you definitely have to visit in Juwangsan Nation Park: Jusanji pond (photographers love this pond so much because in the early morning, there will be a slight frost on the pond, so miraculous), Daejeonsa Temple, Yongchu Falls, Jeolgu Waterfall, etc. 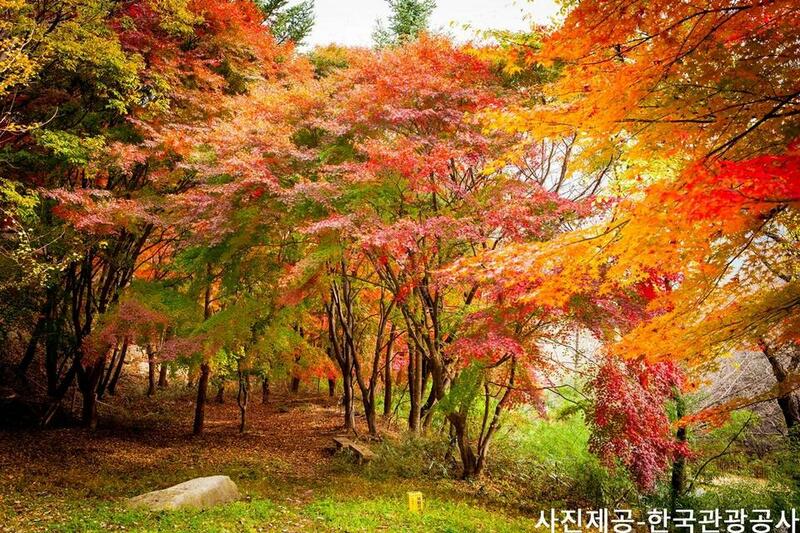 Credit: autumn foliage in busan blog. 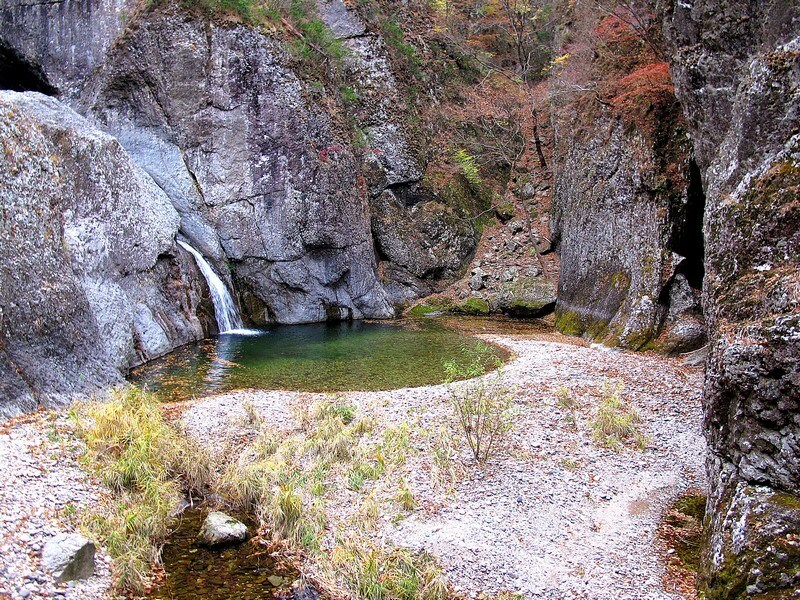 Yongchu Falls. 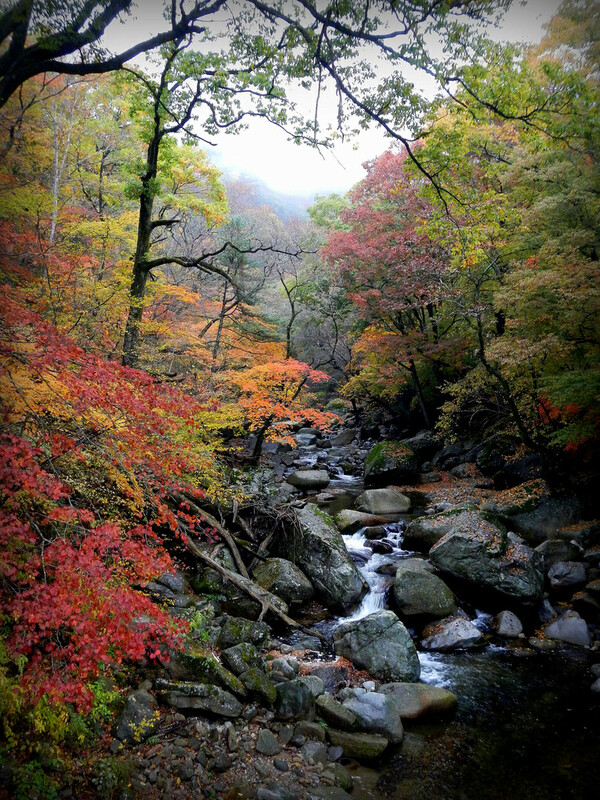 Picture: busan attractions in autumn blog. 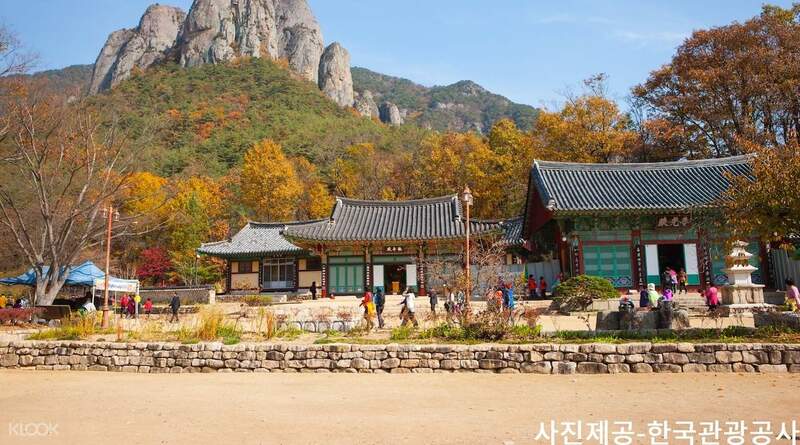 How to get there: From Busan Station go to Dongdeagu Station, then from here take the bus to Dopyeong, from Dopyeong take taxi about 30 minutes to the national park. 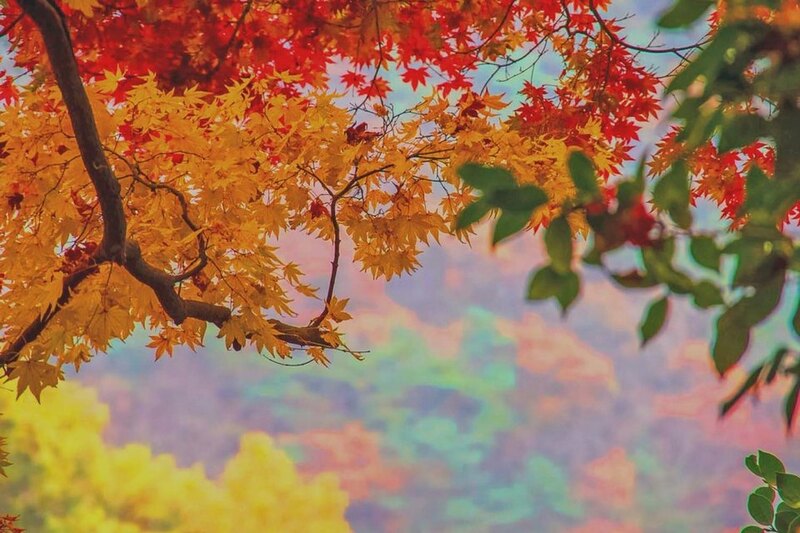 It takes about 3 hours to traveling. 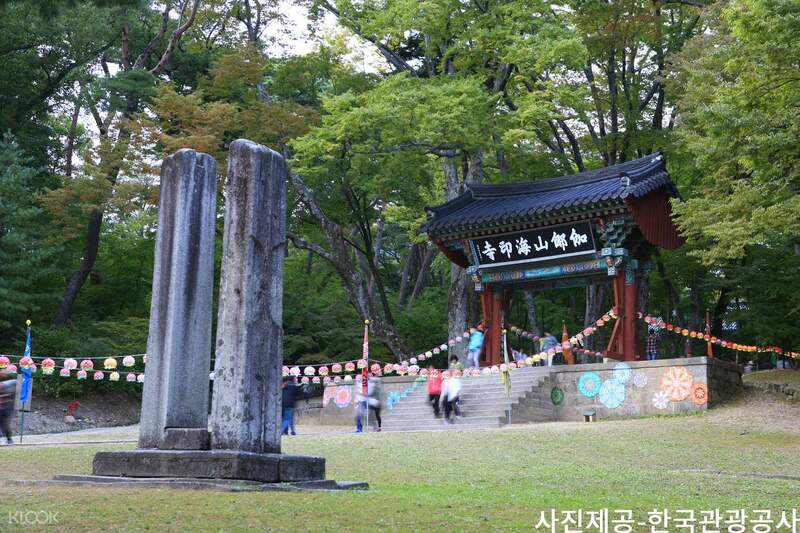 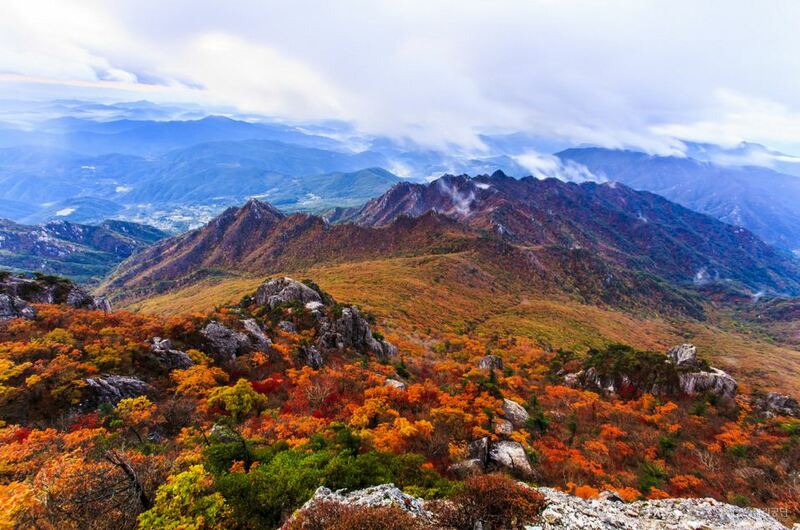 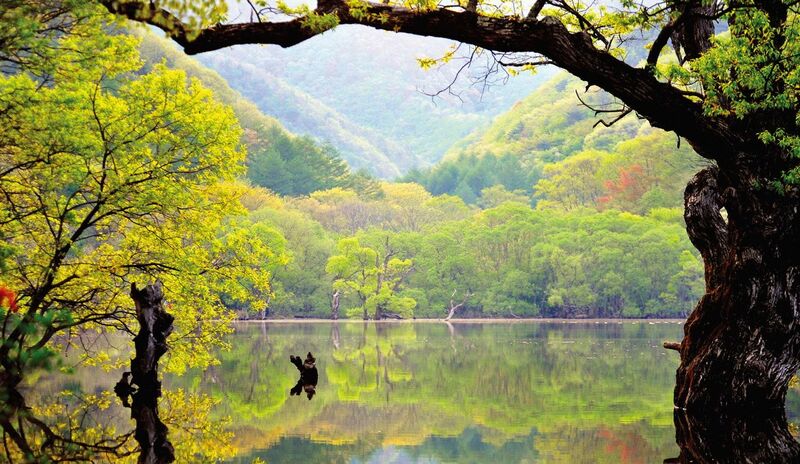 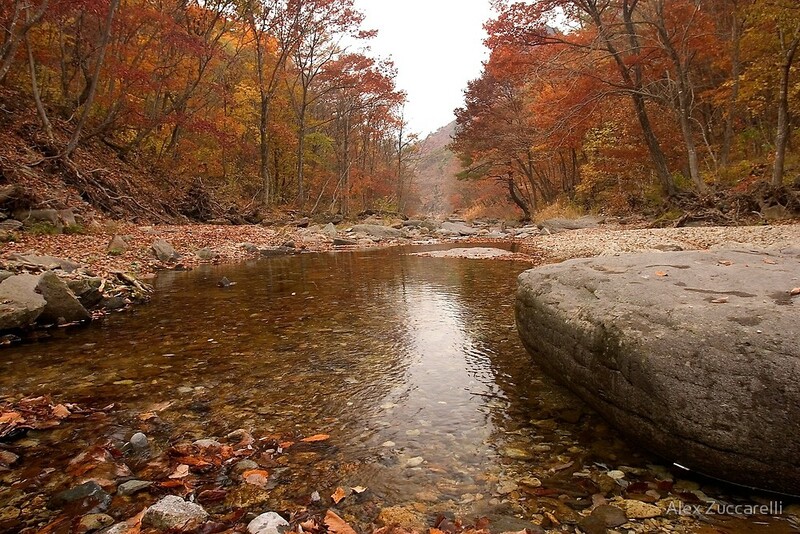 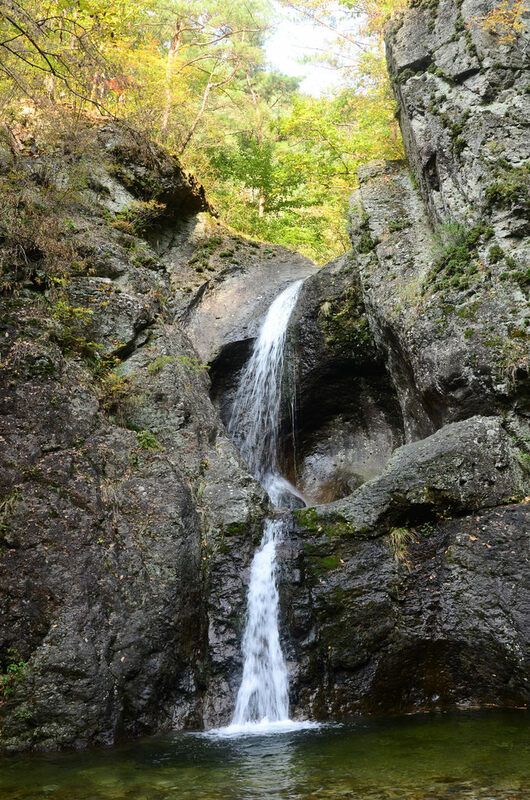 Recognized as Korea’s 9th national park thanks to the romantic, poetic scenery of Mount Gayasan. 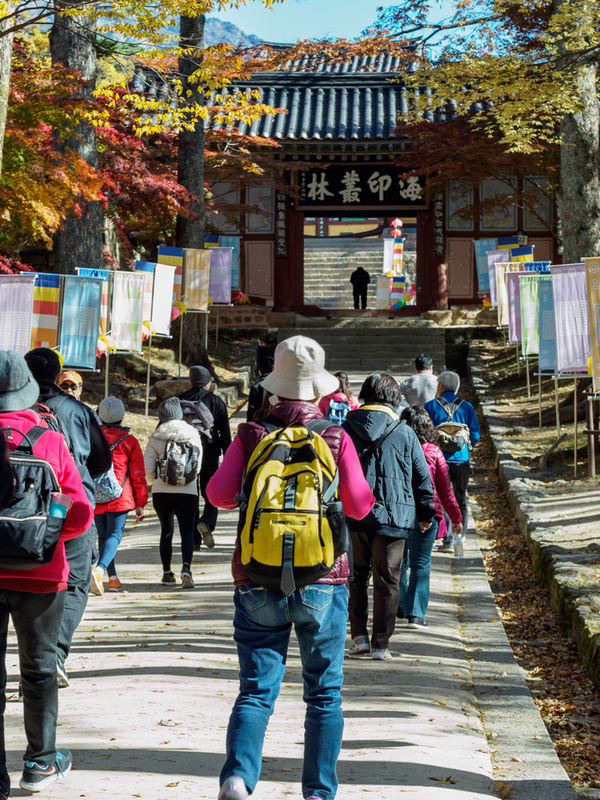 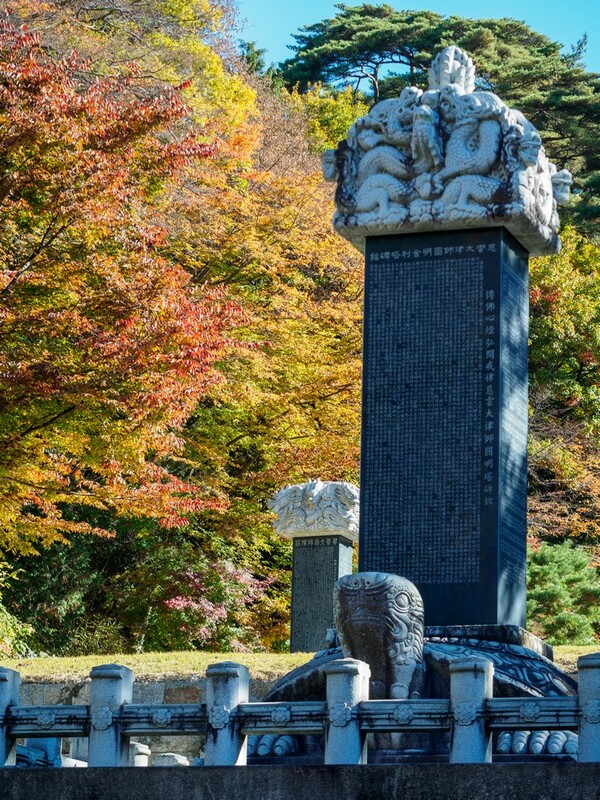 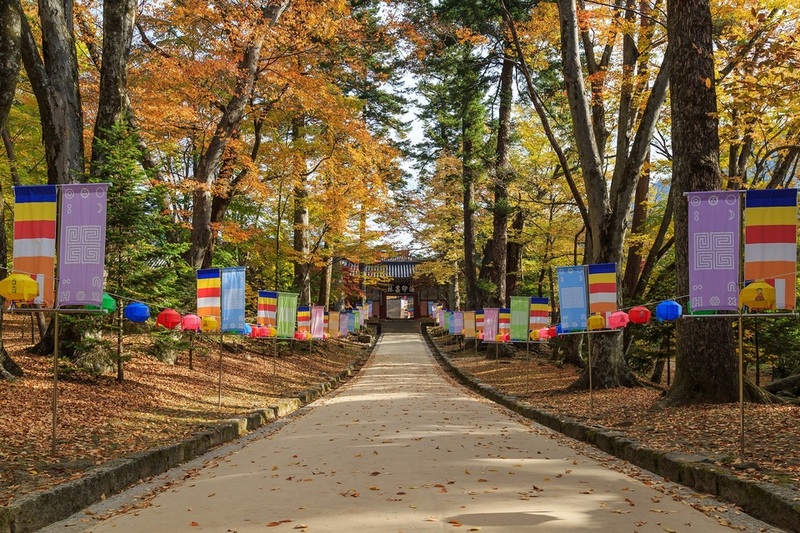 Gayasan National Park is known for its many special points of interest, especially the Haeinsa Temple, located in the southwest of Mount Gayasan. 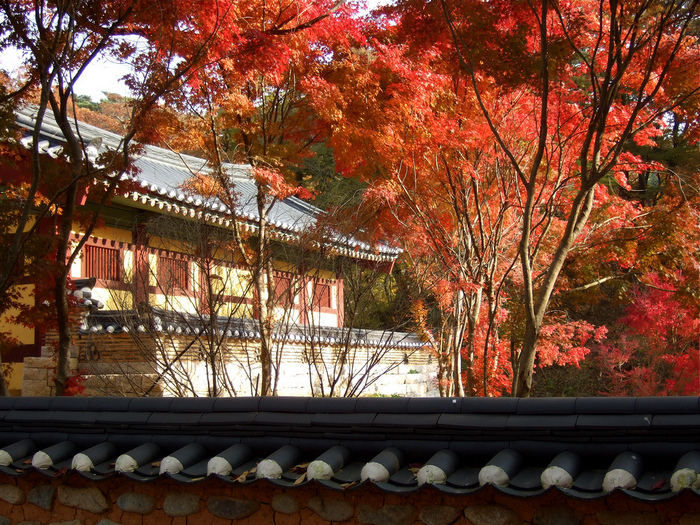 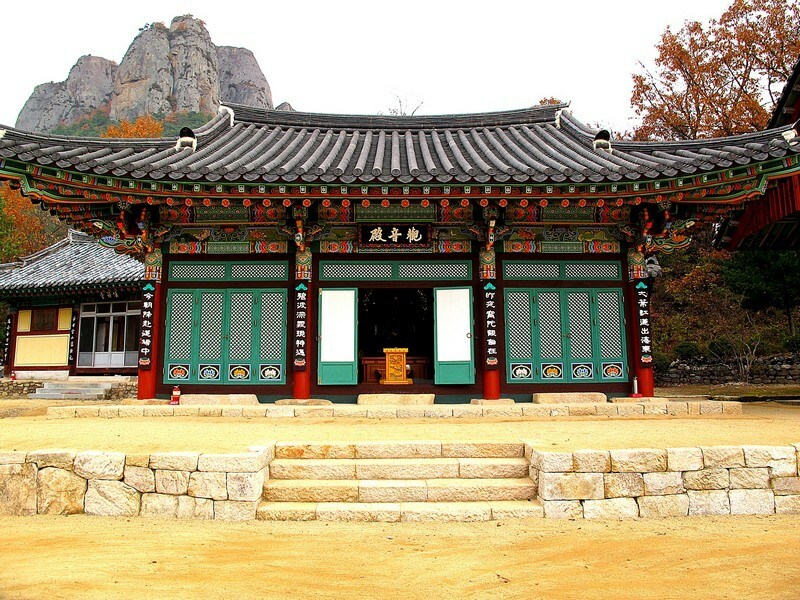 It is one of the three most famous temples in Korea, home to many national treasures. 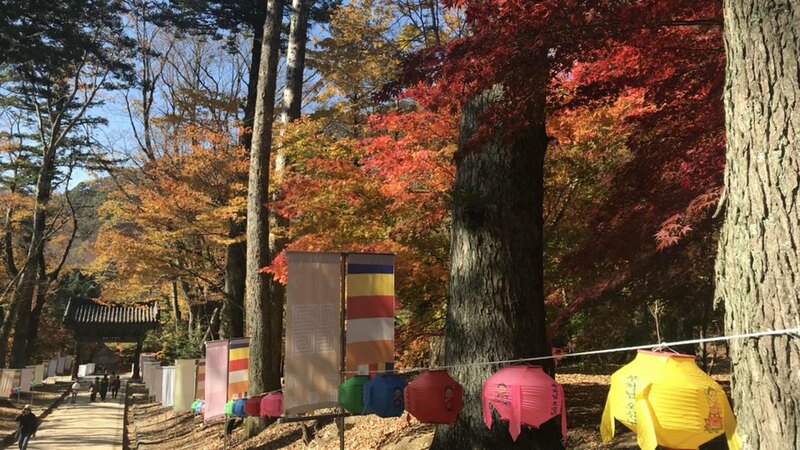 The road leading to the temple is very beautiful, beautiful in every season: cherry blossoms, azaleas in the spring, lush green trees in the summer, snow falling in the winter. 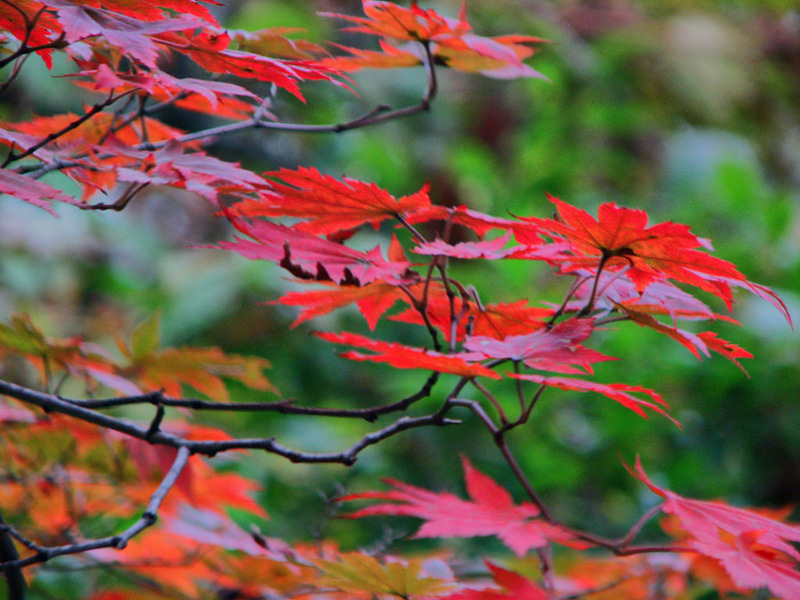 Especially, bright red of leaves along the cliffs. 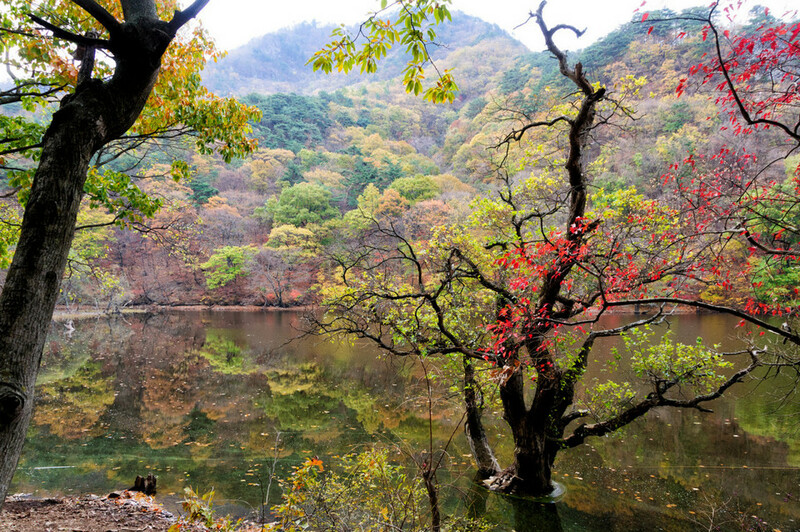 You should not miss the Hongryudong Valley, because the water in this valley in the fall as is dyed by red color (of course by the autumn foliage) looks very interesting. 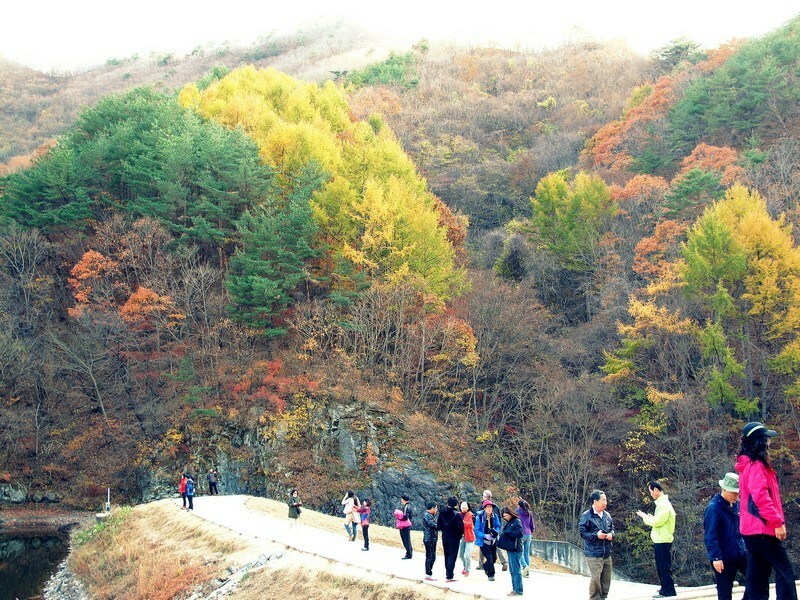 Cheongdo Rail Bike: One of the attractions of Gayasan National Park that attracts many people is the Cheongdo Bicycle Rail, not far from Gayasan. 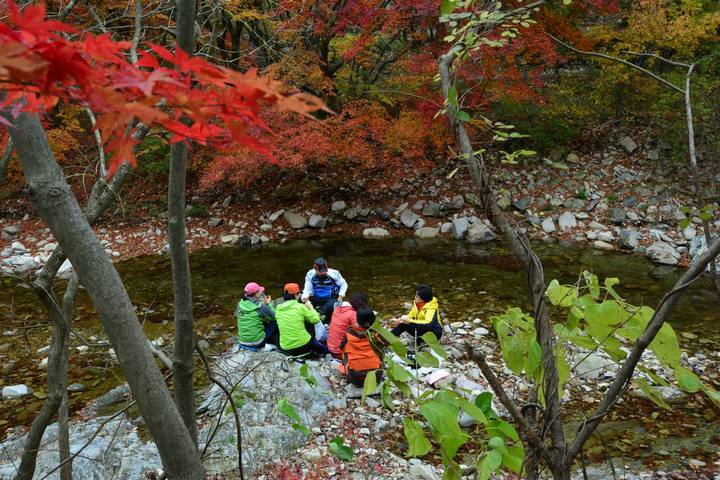 This is also another way to enjoy the red leaves season, if you fatigue your feet, you can sit on the bike (still tired but much better), enjoy the scenery and enjoy the cool weather, a bit of cold. 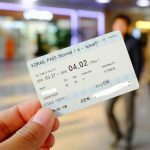 How to get there: If traveling by yourself, the easiest way is to take the city bus from Busan‘s Seobu-Sasang Terminal or Nopo-dong Terminal to Daegu (East) Inter-city Bus Terminal. 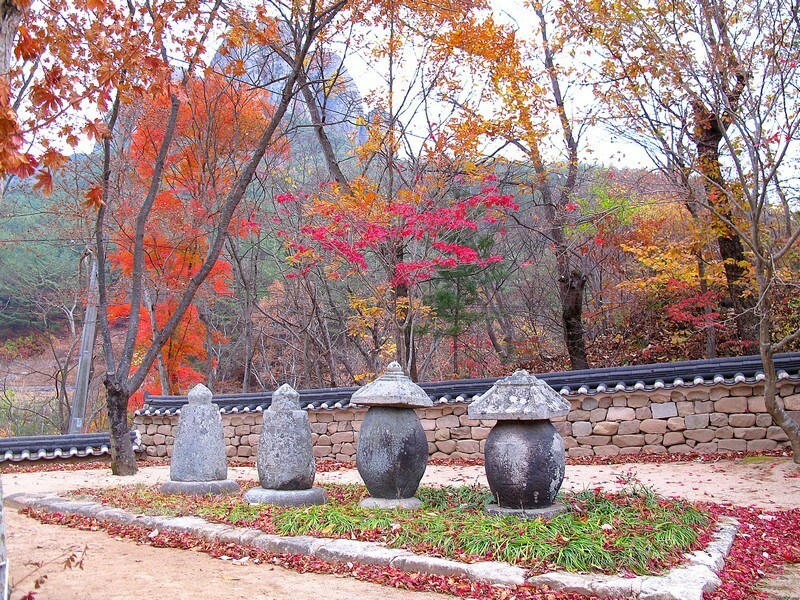 From here, change means of transport to Haeinsa Temple. 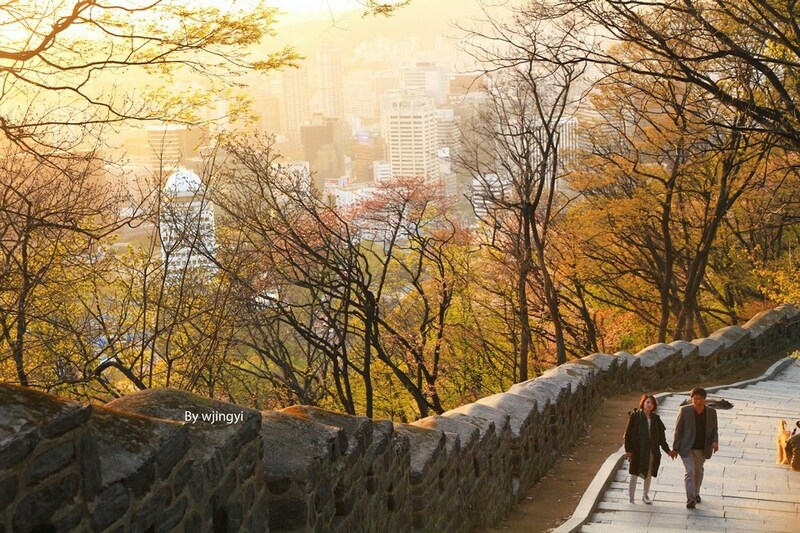 It takes about 4 hours and cost of 13,000 KRW.